Nasal septum is the thin cartilaginous wall separating the right and left nostrils. 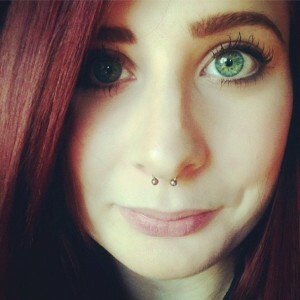 Piercing of the septum involves the perforation of the sweet spot, the fleshy area below the nose cartilage. Also referred to as the bull nose piercing, this style is mostly popular in the rural areas of some Asian countries and is becoming a fashion statement all over the world. In fact in the present times not just girls but males are also opting for septum piercing to give themselves a cool, unique look. In order to get this slightly complicated piercing done, it is essential to choose a good and professional piercing studio. Using a sterilized needle is essential to avoid infection. 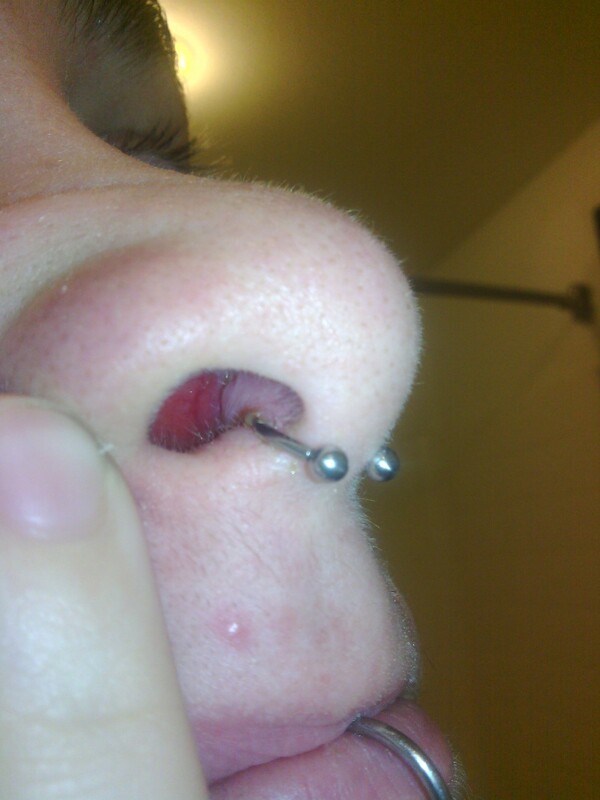 After initial cleaning, the septum is clamped to reduce pain and provide a numb sensation to the region. The needle is inserted in the sweet spot (the area below the nose cartilage) with the jewelry being pushed into the pierced area after taking off the clamp. Finally, the pierced spot is cleaned and the ball is threaded into the jewelry. This form of nasal piercing can be painful as there are many nerves in the septum area. When being perforated, the septum may hurt; though the level of pain varies from one individual to another, also depending upon the expertise of the piercer. The pain normally subsides after about three weeks when proper care is taken. In comparison to ear piercing, this may be a bit painful and take a longer healing time because of the bacteria present in this area. 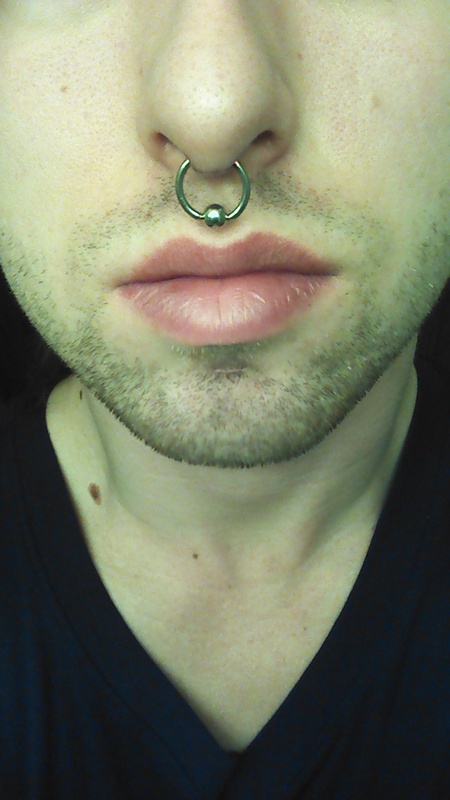 After the septum is pierced, the area is tender for a week or so. Therefore, care should be taken to avoid infection. Make a salt water solution. Dip a cotton ball into this solution and press it on the pierced region gently for 5 to 6 minutes twice a day. You may also clean it while taking a shower by letting fresh water wash the area. Touching the pierced area with dirty hands, rubbing them, fidgeting with the ring or flipping it over is to be avoided as it may result in bleeding. Applying makeup on or around the region that has been pierced results in skin irritation and infection. The healing period for septum piercing is about a year, during which a white secretion may build up around the ring. Due to initial swelling, the piercing may appear crooked which comes back to normal after the area is healed. However, you should contact your piercing studio if it continues to look crooked post healing. If the secretion around the pierced area is of a green or yellow color then it indicates infection. Sometimes pus or a lump may also be formed around the region. Consulting a doctor is recommended in such cases, while the jewelry is to be kept on to keep the hole open. Removal of the jewelry may close the hole, leading to the formation of an abscess. Bumps and swelling are quite normal during the first two weeks. However, they may last for a longer time when the area is left unclean. When the piercing is healing, a foul smell or stink in that area may occur. In this case, removing the jewelry and cleaning it, or changing to better quality jewelry may help. If the problem persists it is better to seek medical help. If done with an infected or unsterile needle or piercing gun, there are high chances of contracting certain serious blood-borne diseases like Hepatitis or AIDS. One of the major risks associated with this form of piercing is ‘septal hematoma’, where the soft tissues in the septum are injured, resulting in the disruption of blood vessels. Nasal congestion, as well as breathing problem, may occur because of this. In extreme cases, it may even lead to a deformity, known as saddle nose, where the bridge collapses. Getting the piercing done by a professional and taking proper aftercare helps to prevent these conditions. Some common jewelry worn for this type of piercing is circular barbells, captive bead rings (CBRs) or ball closure rings, steel septum spikes, horseshoe rings and so on. You may wear plugs if your septum is large gauged; they can also help in the healing process as they do not weigh down the nose. 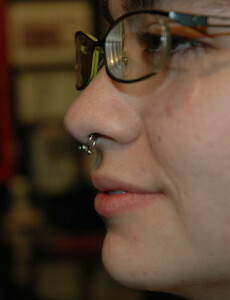 A staple-shaped septum retainer can help to make the piercing less visible. The retainer, or even a horseshoe ring may be flipped over to hide your piercing. If you do not want to go through the pain, then you may even opt for a fake septum piercing by wearing a beaded or plain ring or even a magnetic ring or stud. With the approximate price ranging between $40 to $50, it differs from one shop to the other also depending upon the kind of jewelry included. Double septum piercing: It is an extension of the single piercing where mostly a second ring is attached in the perforated region. 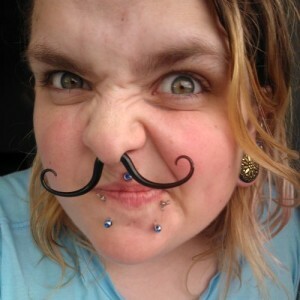 Moustache septum piercing: This is a style statement adopted by men, where moustache shaped jewelry is inserted into the septum.